The threshold for qualifying is set too low, according to organised labour. At the same time, organised business has criticised the limited nature of the exemption as being “completely random” and useless to employers who still cannot afford to pay workers R18 an hour. There is no further exemption from the NMW other than the 10% drop from R20 to R18. 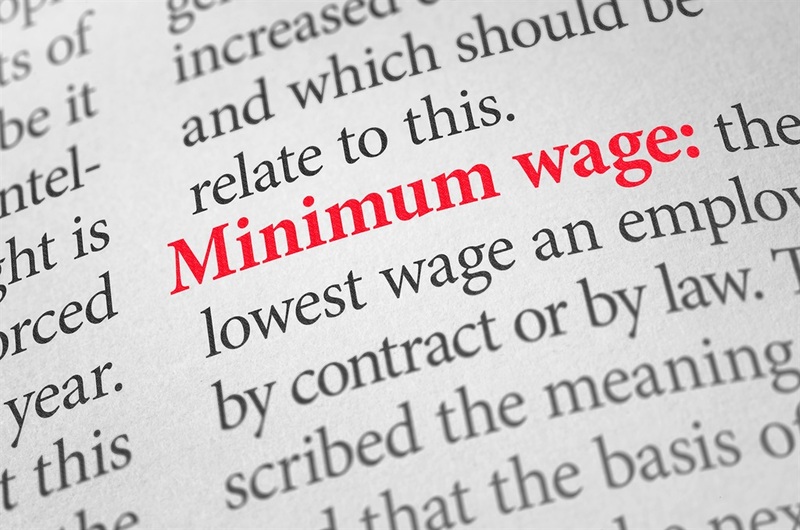 A NMW of R18 leads to a monthly wage of R3 096 instead of R3 440, based on a 40-hour week. The regulations create a series of tests companies can use to qualify for exemption from the NMW, based on profitability and solvency. City Press calculations indicate large parts of the formal economy qualify for the exemption, based on the only available national survey of company financials – Stats SA’s annual financial statistics. Based on these numbers, large parts of the manufacturing and construction industries qualify for exemption. Separate tests for households and nonprofit organisations will allow them to pay a lower NMW to domestic workers and nonprofit workers. The system allows for farm workers to be paid R16.20 an hour instead of the normal R18 in that sector. Likewise, the normal NMW for domestic workers of R15 can be lowered to R13.50 if a household is exempted. WHEN IS R20 TOO MUCH? The exemption rules allow a lower NMW on six bases. As a starting point, any employer operating at a loss is automatically exempt from the R20 NMW. More importantly, even companies making a profit can be exempted if their return on assets – according to a prescribed formula – falls under 6% and they also pass a series of tests of their financial strength. This 6% level was a major bone of contention when the exemption rules were negotiated at the National Economic Development and Labour Council(Nedlac) last year. The labour department initially wanted to make it 8% in line with business’ demands and labour argued for at most 5%. The final regulations settled on 6%. Incidentally, this is the average return on assets in the economy as a whole, according to the annual financial statistics for 2017 – the latest available. This shows that much of the economy would be eligible for exemption.ANOTHER PROBLEM FOR LABOUR IS THAT THE REGULATIONS ALLOW THIRD PARTIES, SUCH AS EMPLOYER FEDERATIONS, TO APPLY FOR EXEMPTIONS ON BEHALF OF THEIR MEMBERS. The difference between 8% and 6% is, however, enormous. If the threshold had been 8%, the infamously low-wage retail sector would have qualified for exemption, according to City Press’ analysis of the annual financial statistics. With 6% and the further tests prescribed by the regulations, 59 of the 258 sectors covered by the annual financial statistics qualify for exemption based only on the lowest three hurdles for exemption. That means they get exempted without having to show the actual effect that the wage increase would have on them. This includes much of the manufacturing sector and the construction industry. Companies with returns on assets higher than 6% can still get exempted if they can prove that the new higher wage would cause them to suffer losses. The extent of this situation cannot be determined without access to company payroll data. These are high-level aggregated statistics and, within each sector, there would necessarily be companies that are doing better and companies that are doing worse. The overall figures, however, show how low the bar has been set for exemption from the NMW. Despite evidently covering a large part of the economy, the NMW exemption rules are nowhere near what organised business wanted. Kaizer Moyane, the business convener at Nedlac and social policy chair at Business Unity SA, said the exemption is “arbitrary” and fails to take into account real affordability. If you accept that an employer cannot pay R20, but then say it must pay R18 without assessing if that is more feasible, the whole exemption system becomes meaningless, he told City Press. Business last met with the department on December 7 to express concerns about the then draft of the regulations, he said. Their objections were evidently ignored as the final regulation still contains the main prescriptions about which business has objected. The exemption system requires applicant employers to have two years of financial statements. This means start-up companies are automatically refused exemption, said Moyane. Also, an exemption process based on past financial performance would be unable to take into account future events, such as the end of a contract, he said. Another gripe is that the NMW regulations do not allow mass applications by employer groups on behalf of all their members. Instead, the regulations permit employer groups to make applications for their members – but only one at a time. “That simply makes the employer group an administrator,” said Moyane. At the negotiations on the exemption system last year, union federation Cosatucalled the proposed test for exemption at 8% of returns on assets a “gigantic loophole for the entire NMW system”. It claimed that “most companies” would be exempted if that test stayed in place. In a submission at the time, the labour federation argued that this number should be lower than 5%. The SA Clothing and Textile Workers’ Union’s industrial policy officer Ettiene Vlok told City Press last week that 6% was still too high and that many “undeserving companies” would get exempted. It was not clear why the department chose 6%, he said. “Our concern is that giving exemptions is already unique and contrary to what the International Labour Organisation recommends. “If you are going to have exemptions, they do not have to be generous,” Vlok said. As things stood, an “enormous” number of companies would likely qualify for exemption, he said. Another problem for labour is that the regulations allow third parties, such as employer federations, to apply for exemptions on behalf of their members. This would most likely lead to the creation of groups that “fill in exemption forms from morning to night”. “This is not theoretical – this is what has actually happened in the past,” said Vlok, referring to exemption processes for other centrally determined wages such as South Africa’s sectoral determinations. Although organised business has complained about limiting the exemption to paying R18 instead of R20, Vlok said that there had to be a limit. “It is meant to be a national minimum wage and the R20 has already been eroded by inflation since it was first proposed,” he said. Cosatu would monitor the scale of exemptions this year and take the issue up again when the new NMW commission deliberates on the first year of the wage floor, he said.